The ADA New Dentist News spoke with three dentists — all 2018 dental school grads — to learn what led them to dentistry and how they chose their career path. Dr. Kristofer Harris took a demotion to become a dentist, but he couldn’t be happier. Dr. Harris, 37, was recommissioned as a lieutenant in the Navy Dental Corps upon graduating from the University of Washington School of Dentistry in June, continuing his military career. Before enrolling in dental school, he served 11 years in the Marines as an officer and Harrier attack jet pilot, eventually climbing the ranks to become a major — one rank above a Navy lieutenant. His Washington state recommissoning was special, for an old friend from flight school, Marine Major Scott Buerstatte, conducted the ceremony. Immediately after that, Dr. Harris in turn administered the commissioning oath to two classmates: Dr. Ashley Simpson, who will serve as a Navy general dentist, and Dr. Ryan Sonnabend, who will begin a Navy general dentistry residency. Both are now Navy lieutenants like Dr. Harris. Choosing to stay in the armed services, this time as a dentist, was an easy decision for him, said Dr. Harris shortly after he moved across the country with his wife of 14 years and three kids. 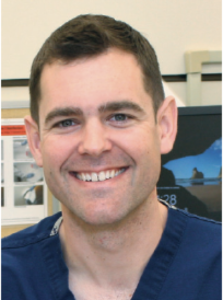 Dr. Harris now lives in Bethesda, Maryland, beginning a residency in endodontics at the Navy Postgraduate Dental School at the Walter Reed National Military Medical Center. “I have always been interested in health care,” Dr. Harris said, adding that before he joined the Marines, he was studying pre-medicine in college. Dr. Lauren Nichols is an Oklahoman for life. She is a recent grad of the University of Oklahoma College of Dentistry and grew up in Broken Arrow, Oklahoma. 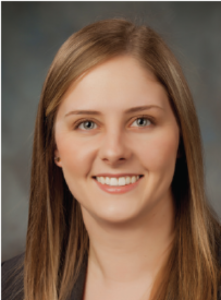 “Dentistry is special because you are allowed the autonomy of focusing on patient centered care with an emphasis in communication and quality service,” said Dr. Nichols, 25, now an associate at a general practice in Tulsa, Oklahoma. Service is important to her, she said. Becoming an associate is helping achieve her own goals in dentistry. In the future, she wants to be her own boss. “My professional goals include a commitment to lifetime learning, providing ethical dentistry and becoming a practice owner,” she said. 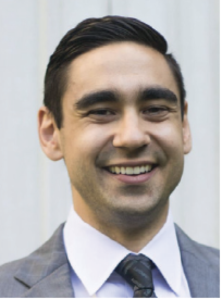 Dr. Hakan Gem, a 26-year-old Washington state native and recent grad of the University of Washington School of Dentistry, plans on staying in Seattle now that he has graduated and is enrolled in the dental school’s Ph.D. program. Deciding to delay his entry into clinical dentistry was difficult, Dr. Gem said. To that end, he has created a website called LiveSmyle.org where he makes regular posts about the latest cancer news, important historical figures and general facts about cancer research. He also established the LiveSmyle Foundation, which raises money to be used to help enrich the lives of cancer patients and their families as they come to Seattle for cancer therapy.